Retired university professor David Vogel does a masterful job of exploring past and present efforts to protect California’s natural beauty and resources. Through research and observation, Vogel confirms that “No other state has enacted so many innovative, comprehensive, and stringent environmental regulations over such a long period of time.” The “greening” of California, as Vogel calls it, derives from a unique collaboration of the state’s citizenry, businesses, and politically invoked regulations, all working toward a common goal. The magnitude of environmental concern is clear in Vogel’s evocative descriptions of such fragile resources as California’s redwoods, beaches, coastline, and the San Francisco Bay. Sections of the book cover in detail the state’s challenges in dealing with the impact of oil drilling and air pollution, as well as the need to manage and preserve water. Perhaps the most notable environmental protection policy is California’s vanguard automobile emissions standards that paved the way for establishment of federal standards. More recently, California has been an environmental leader in renewable energy and climate change initiatives, the latter of which “produced the strongest political backlash of any state environmental regulation,” writes Vogel. The author superbly illustrates how California’s regulatory leadership in environmental policy has broader implications; he eloquently discusses geography and local politics, the role of businesses, and the limits of environmental regulation. With the current political landscape in mind, Vogel suggests that California’s approach “may well herald the future of American environmental regulation” in the sense that “a growing share of environmental policymaking in the United States will be done by states.” Equally significant is Vogel’s insightful closing section, in which he discusses the reality that California’s environmental policy has also created a competitive advantage for the state and contributed to its economic success. 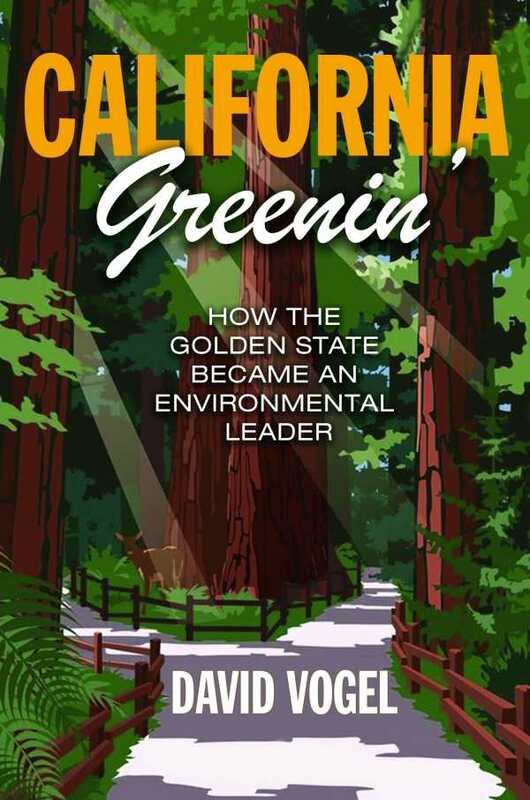 California Greenin’ is a must-read for anyone seeking a path to locally driven environmental policymaking.